Hey everyone! Today I am featured over on the AnnButlerDesign.com blog! 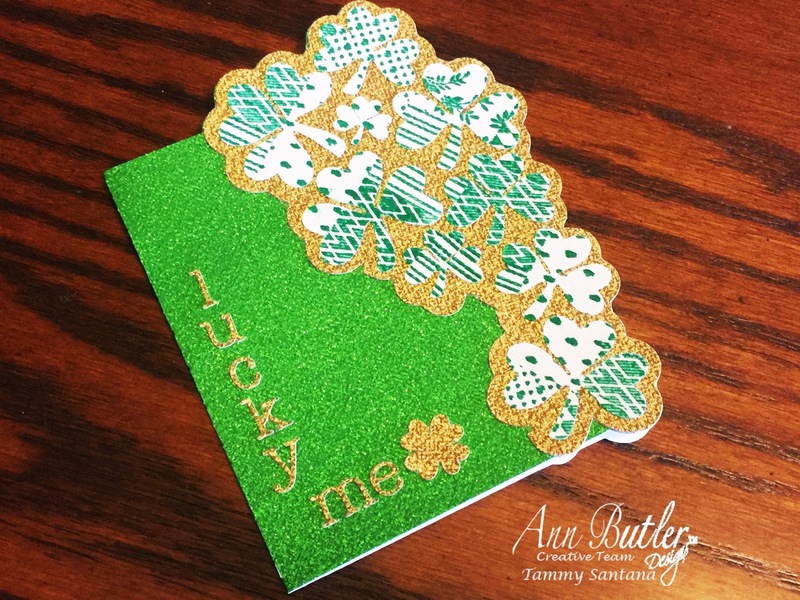 Check out this fun card I made for my hubby for St. Patrick's Day! I used the Ann Butler stamps from Unity Stamp Co. and Crafter's inks by Ann Butler to create a fun card with stamped fabric embellishments.